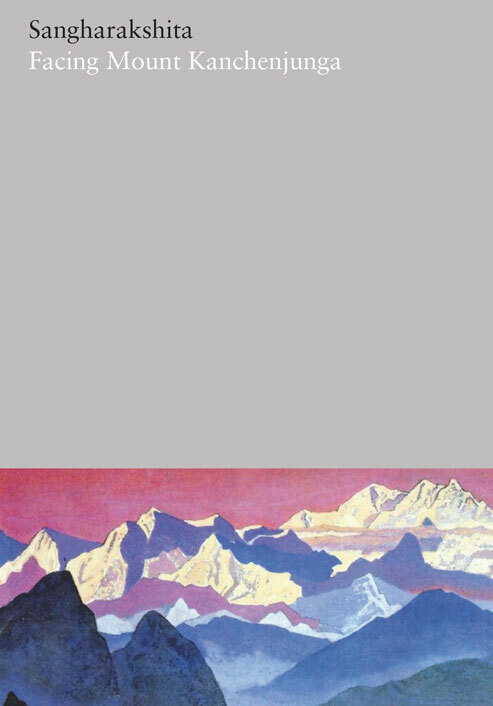 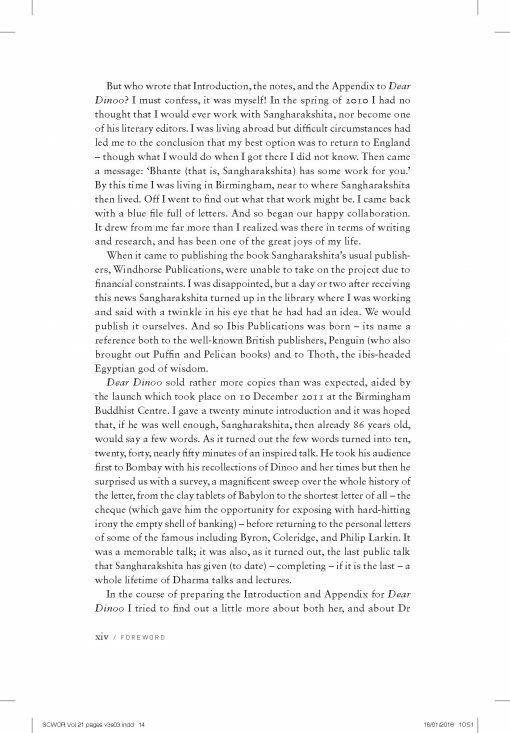 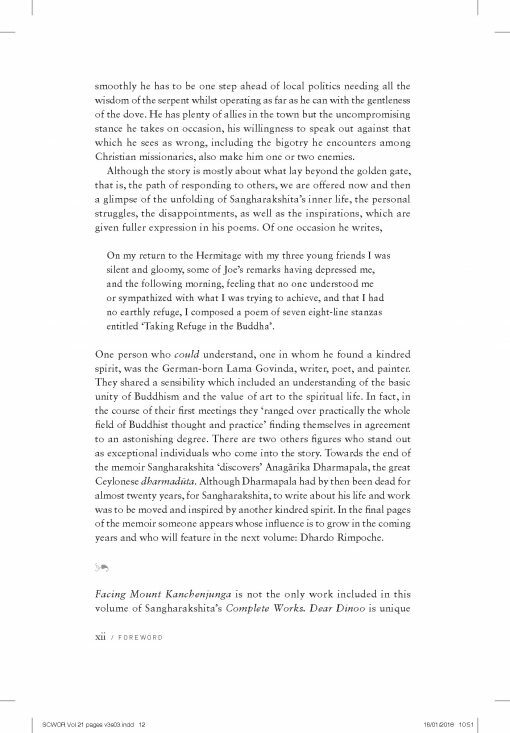 This volume of Sangharakshita’s Complete Works includes Facing Mount Kanchenjunga, the second in the series of his memoirs, and, in Dear Dinoo, some very personal letters. 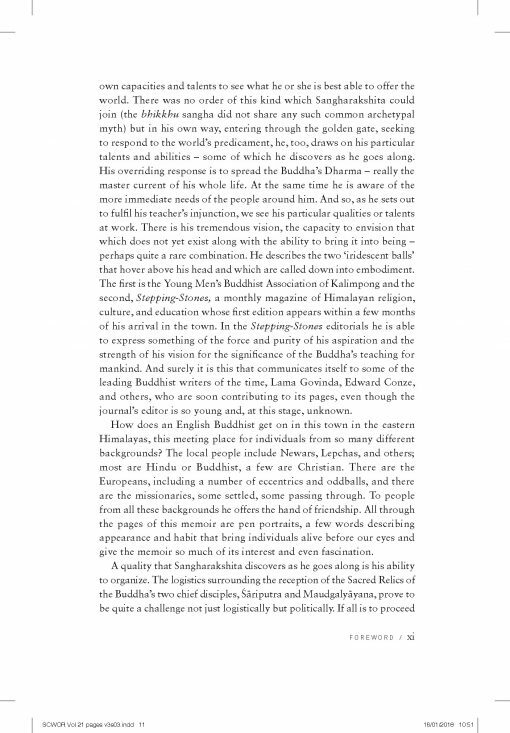 Facing Mount Kanchenjunga covers the period 1950-1953, beginning with Sangharakshita’s arrival in Kalimpong as a twenty-four-year-old novice monk. 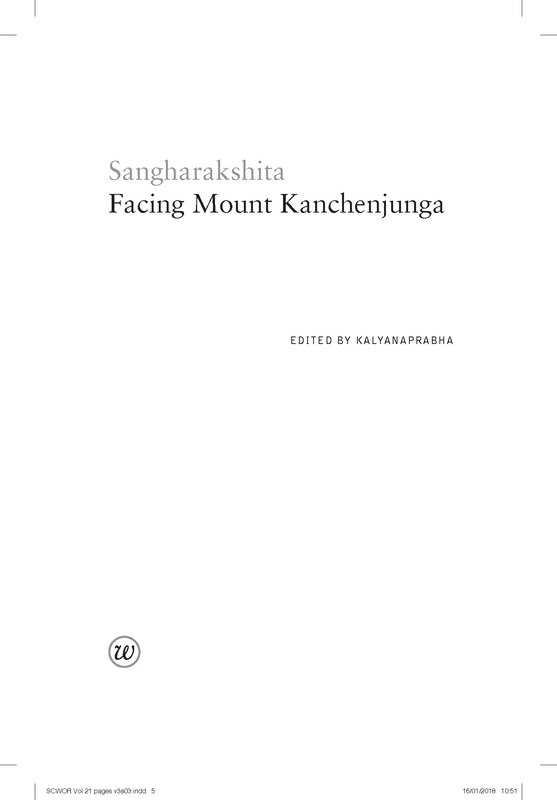 This volume of Sangharakshita’s Complete Works includes Facing Mount Kanchenjunga, the second in the series of his memoirs, and Dear Dinoo. 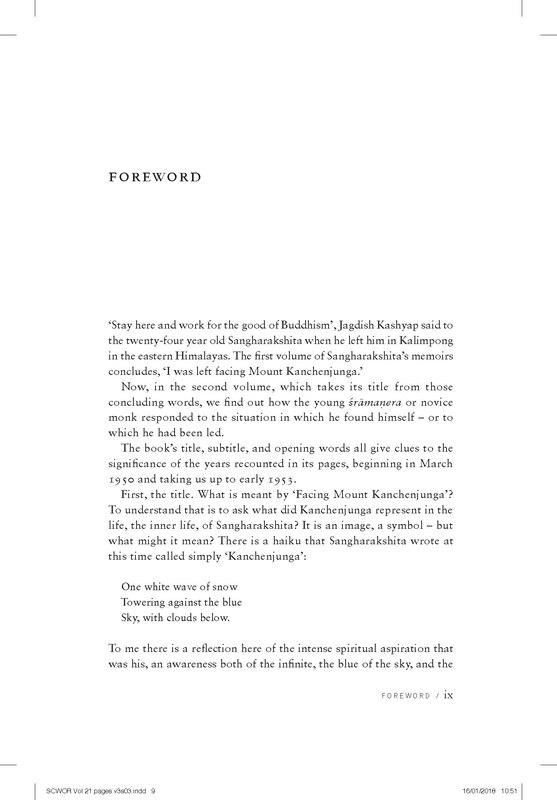 Facing Mount Kanchenjunga covers the period 1950-1953, beginning with Sangharakshita’s arrival in Kalimpong as a twenty-four-year-old novice monk, and his response to his teacher’s injunction to ‘stay here and work for the good of Buddhism!’ In the pages that follow we are drawn into a deeply committed Dharma life lived in unusual circumstances and among some very colourful characters. 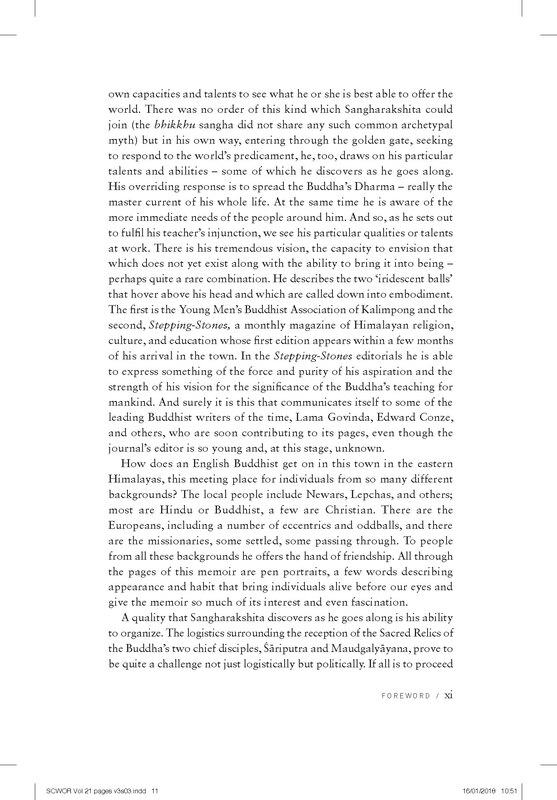 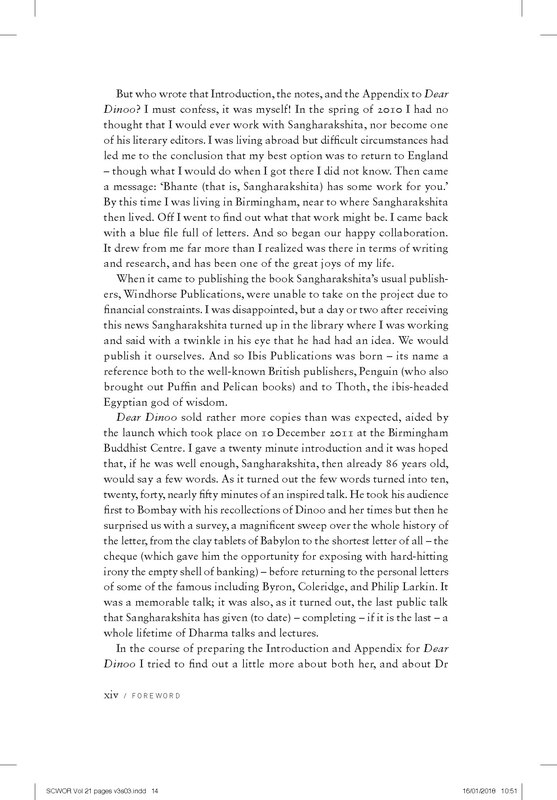 As he recalls the significant events of those years – the setting up of the Kalimpong Young Men’s Buddhist Association; the creation of a new Buddhist journal; accompanying the Sacred Relics of the Buddha’s chief disciples; advising on the making of a Buddhist film; giving lectures; discovering Dharmapala; meeting Dhardo Rimpoche; in fact, working in every way to spread the Dharma – Sangharakshita also affords the reader glimpses of his inner life, his struggles and disappointments, his aspirations and inspirations, his responses to the beauties of nature, and his feeling for friendship. 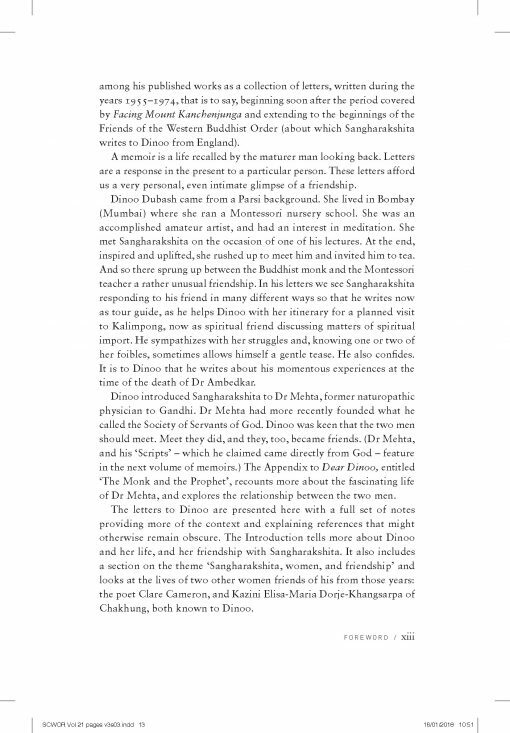 The twenty-nine letters collected together in Dear Dinoo span the period 1955-1974, giving a sighting of Sangharakshita’s life as he experienced it at the time, including what happened on the day of Dr Babasaheb Ambedkar’s untimely death in 1956. 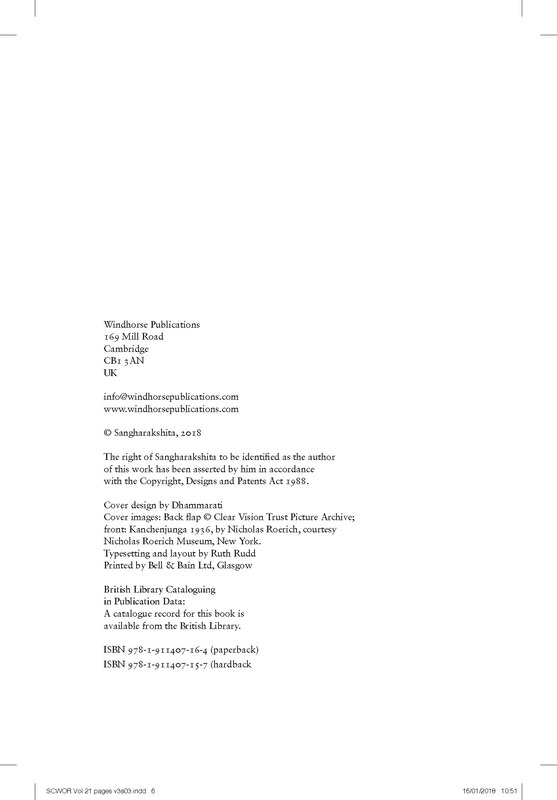 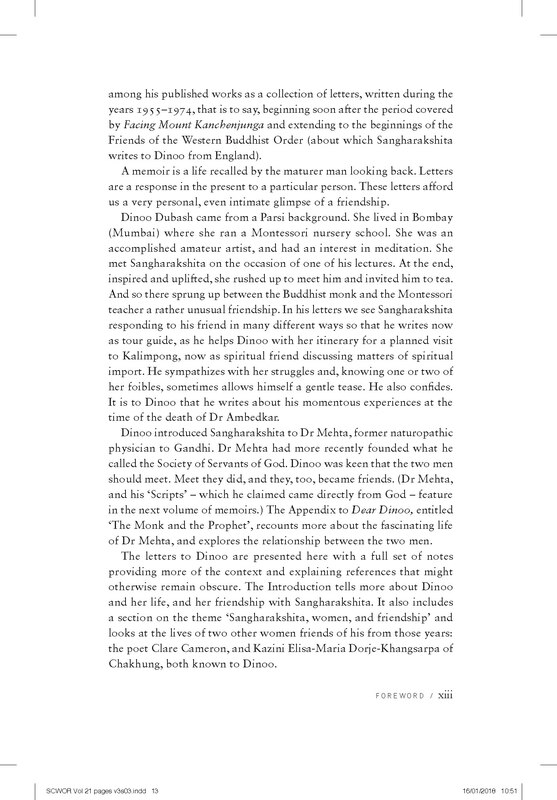 We are also afforded a glimpse of the unusual friendship that sprung up between the young English monk and the Montessori teacher. 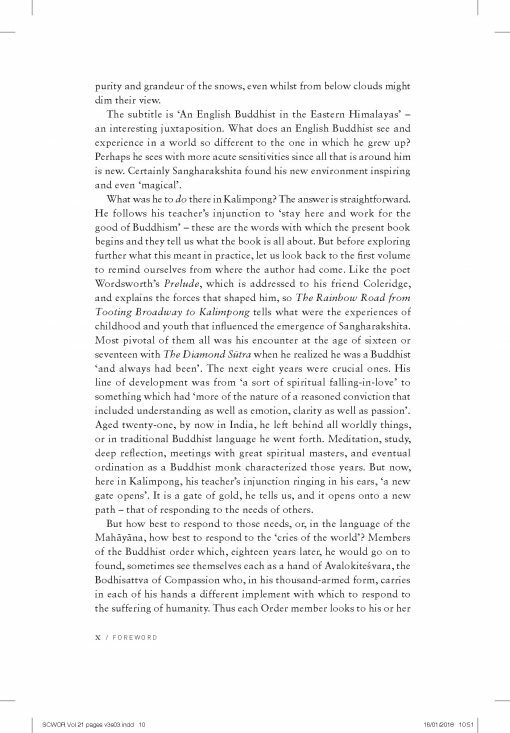 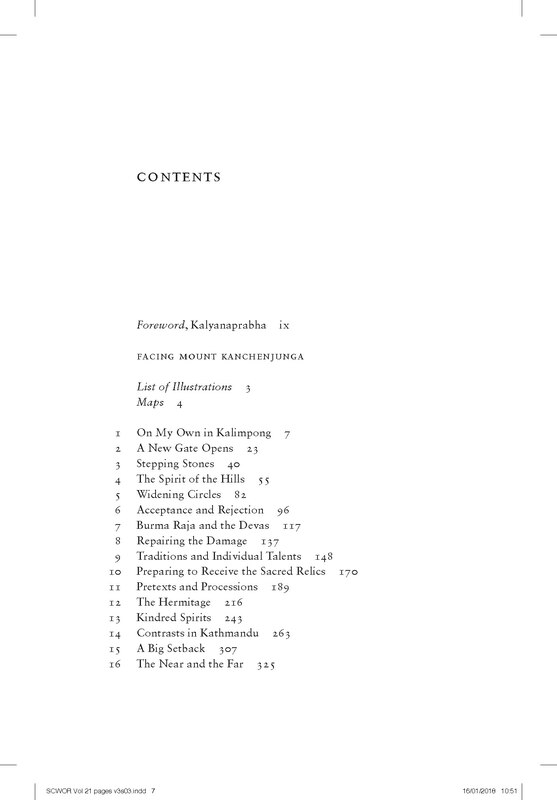 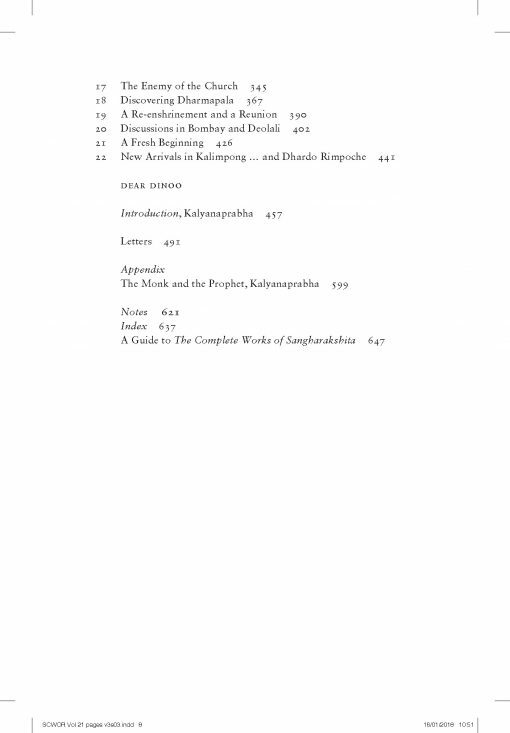 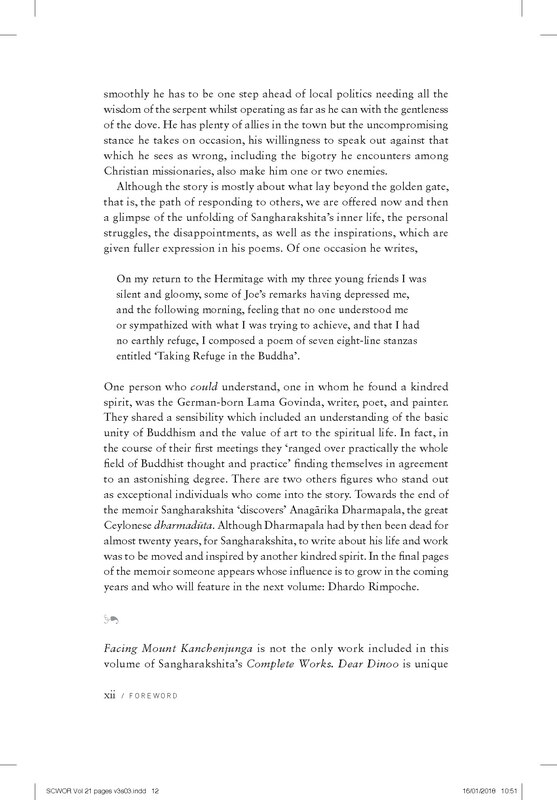 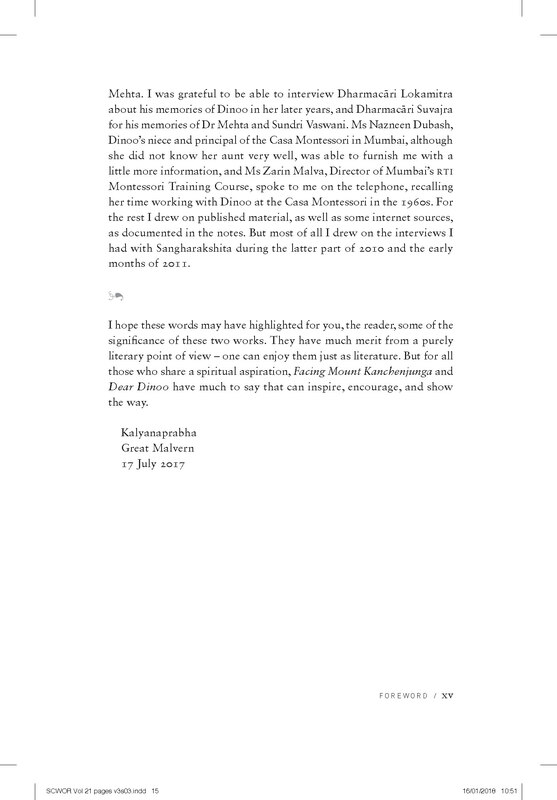 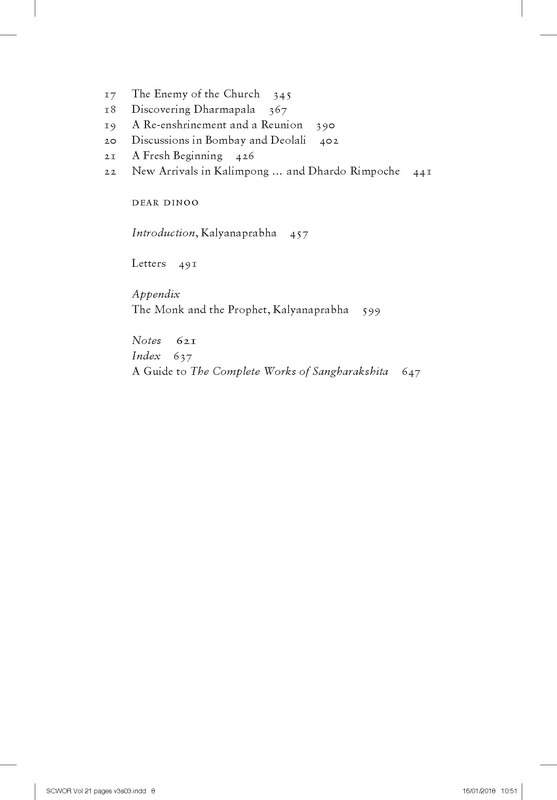 Kalyanaprabha’s Introduction highlights some of the significances of the correspondence, including reflections on Sangharakshita, Women, and Friendship.